Microsoft started work on what is going to be released as Windows 8 for ARM before Apple's iPad had even been launched, according to corporate VP Dan'l Lewin. 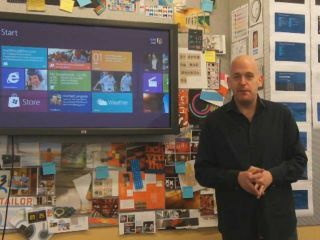 Speaking to TechRadar, Lewin suggested that the tile layout which will be a major new feature in Windows 8 on tablet devices, has not been informed by Apple's successful iPad. "Think about when the planning started for what you saw just the other day; all the planning, the intent, the interface design work was done before the iPad hit the market," said Lewin. "We know where we're going - we just have to get there faster." Lewin's admission that Microsoft needs to speed up the progression of projects from R&D to product launch is certainly not wide of the mark. The Windows 8 UI, which was shown off at All Things Digital and Computex shows, borrows heavily from Microsoft's other Operating System – Windows Phone 7. That too has been built with touchscreens in mind, and although the world is still waiting for a more complete rundown of what we can expect to see in Windows 8, if Lewin is correct it certainly doesn't lack for planning time.